Bruce Pearl is the current head coach of the Auburn Tigers men's basketball program. 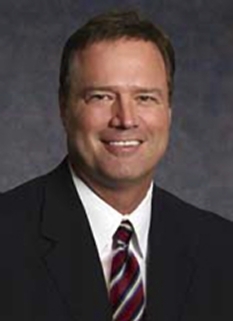 He previously served as head coach of the University of Tennessee Volunteers men's team. Bruce Pearl is the current head coach of the Auburn Tigers men's basketball program. 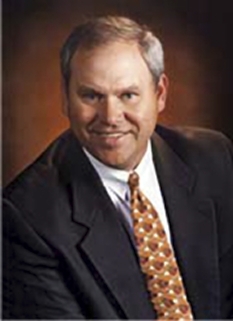 He previously served as head coach of the University of Tennessee Volunteers men's team. He also serves an analyst for ESPN. 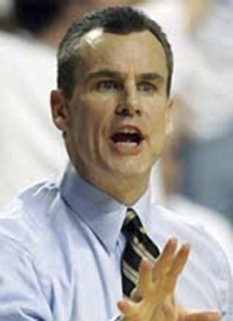 Pearl is the first coach to bring the Tennessee Volunteers to a #1 ranking. 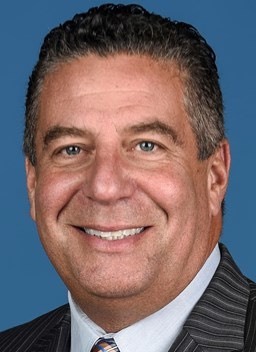 Before coming to Tennessee, Bruce Pearl was the head coach at the University of Wisconsin-Milwaukee and, prior to that, at the University of Southern Indiana, where he won a Division II national championship. 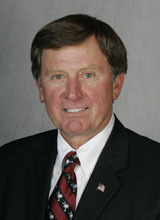 He also served as an assistant coach at the University of Iowa under then-head coach Tom Davis. 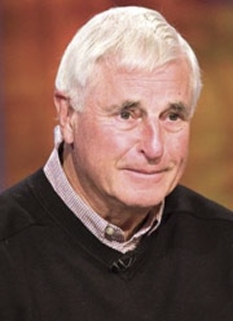 He quickly helped turn the Tennessee program around, leading it to one of its best seasons in many years. Among his accolades, Bruce Pearl is the second-fastest NCAA coach to reach 300 victories, needing only 382 games to reach the mark. He is also a popular motivational and keynote speaker. 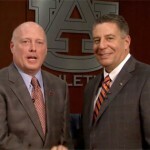 basketball coach, Bruce Pearl in his first interview at Auburn. 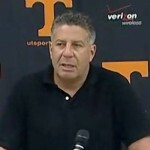 Video shows Bruce Pearl speaking at a Press Conference - 6/11/2009. DISCLAIMER: PFP Sports Talent Agency does not claim to represent itself as the exclusive agent for Bruce Pearl. PFP Sports Talent Agency is a booking agency that represents organizations seeking to hire pro athletes and sports personalities such as Bruce Pearl for speaking engagements, personal appearances, product endorsements and corporate entertainment. Fees on this website are estimates and are intended only as a guideline. Exact fees are determined by a number of factors, including the location of event, the talent’s schedule, requested duties and supply and demand. PFP Sports Talent Agency makes no guarantees to the accuracy of information found on this website and does not warrant that any information or representations contained on this website will be accurate or free from errors. 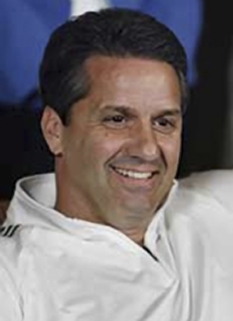 We are often asked how can I find out who is Bruce Pearl's agent? To find Bruce Pearl appearance fees and booking agent details, you can contact the agent, representative or manager through PFP Sports Talent Agency for speaking fee costs and availability. PFP Sports Talent Agency can help your company choose the ideal sports personality for your next marketing campaign. To hire Bruce Pearl for an appearance, speaking event or endorsement, contact Bruce Pearl's booking agent for more information.